Ready to take your (or your child’s) natural lifestyle to another level? Come and learn Janelle Sands’ Method of hair braiding to empower you on your journey. This course is open to 25 students. Light refreshments will be provided and students will leave with course handouts.Please reserve your placement by submitting your $10.00 payment through the PayPal option found at www.SecretCurlSociety.com. 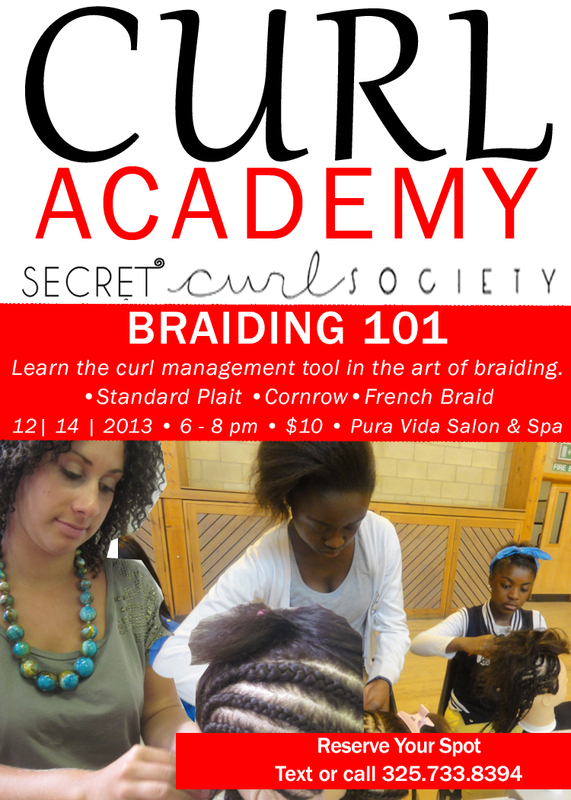 Click on the Secret Curl Academy Blog post for payment options on right sidebar. I am looking forward to learning with you!